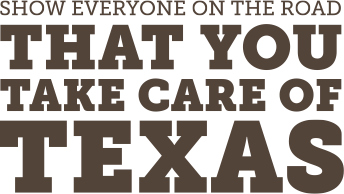 The Take Care of Texas Award recognizes Scouts who are doing their part to conserve water and energy, keep our air and water clean, and reduce waste. The Award shows a commitment to both learning and educating others on how we can keep our state great. Junior: Complete ten activities plus two community service hours of conservation work. Examples include park/school clean-ups, removing exotic species, and planting trees. Cadettes/Seniors/Ambassadors: Complete twelve activities plus a conservation project/presentation relating to the Take Care of Texas mission. See the activity list for more information on the project. Currently, the patch is only available to the following councils, but we are expanding. Stay tuned. Email educate@tceq.texas.gov for more information.